Do you know where your strengths lie? Are you using them in your life? If you’re not, then what is it that stops you from doing so? Perhaps you allow emotions to get in the way? Or possibly you’re too caught up in a struggle to overcome weaknesses to recognise your strengths? As a Life Coach and Registered Psychologist it is an important part of my job to help my clients to identify their strengths and find ways to use them; in both their professional and personal lives. In this blog I am going to share with you why I think recognising and using our strengths is so important to our wellbeing. Unfortunately I see many people who feel stuck in their life. This can occur any area of our life of course, but for many of the people I see it seems to occur in their professional life. Commonly they work for an organisation that does not nurture or even recognise their strengths. They know it’s not a good fit for them but feel like they have no alternatives. After all “it pays the bills” and we all have financial responsibilities! This sort of predicament can leave us feeling trapped, and a sense of “helplessness” can set in. We can start to doubt our abilities, or feel like they are not valued by others, and our self-esteem suffers. Before we know it we’re heading towards burnout and believing that we cannot achieve our potential. Well let me tell you this: every single strength that we possess is valuable and important! 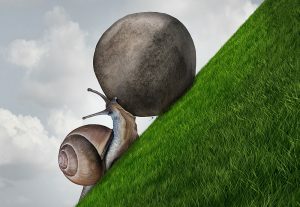 Of course some strengths come naturally to us and there are others that require a bit more effort. Sometimes we forget to nurture them, and sometimes we forget that they even exist. But in my professional experience, let me repeat: THEY ARE ALL VALUABLE. Our strengths help to give our lives a sense of purpose and meaning. If we stop living in a way that is consistent with our values then we often notice that a psychological conflict begins to emerge within us. Let me explain this a little. My top three strengths are creativity, honesty and kindness. If I don’t work and live according to these strengths then I will notice internal conflict: I would start to resent my life and my work, as I would be suppressing these strengths and trying to be someone that I am not. For a person, such as myself with honesty as a number one strength, to be my authentic self I need to be honest, not only with the people around me but with myself. If we are not able to honour our strengths then internal tensions often surface. These often present as emotional symptoms, such as depression, anxiety or frustration. Or they may appear as physical symptoms: numbness, nausea, upset stomach, unexplained aches and pains are all common examples. Sometimes Emotions Can Get In The Way! It’s important to our wellbeing that we nurture our strengths, and it can be very helpful to understand the things that stop us from using them. One of the most common barriers I encounter is anxiety. This can often present as worry or fear about making changes that enable someone to use their strengths. Do you let anxiety get in the way of doing the things you are passionate about? If you procrastinate a lot, or notice that you put off making big decisions in your life, then the chances are that you do! So what do I do now? I hear you ask. Well, if any of this is sounding personally relevant to you, the first step would be to recognise your strengths. One way is to ask five friends to write down five key strengths they think you have. See if you can identify any patterns, or themes from their lists. You could also go online and complete a free personal strengths survey, such as https://www.viacharacter.org. You may also find it useful to attend a couple of Life Coaching sessions. I can help you to identify, and gain some clarity around your strengths. I would also help you to set some achievable goals, enabling you to live more consistently with your values, utilise your strengths and ultimately move from fear to freedom. To book your appointment, call us on 02 8089 2665.